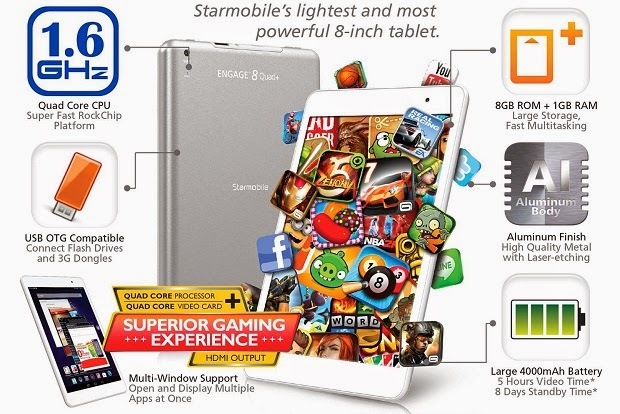 Starmobile has unleashed its most powerful 7.85-inch aluminium finish tablet with quad-core processor inside, the new Starmobile Engage 8 Quad+. The Engage 8 Quad+ is basically an upgraded Engage 8 Quad that was released last year. It sports 7.85-inch display, features a better quad-core chipset, a larger battery at 4,000mAh, multi-window support and HDMI output for Php6,990.